Lego Batman. A new set of Pokemon cards. And Geoffrey the Giraffe, the Toys R Us mascot. All these things are featured prominently in upcoming giveaways and in-store events at your local Toys R Us store. So if you need a warm place to take the kids on a wintry weekend, here’s an option for several upcoming Saturdays. Here’s our rundown of the freebies offered at all of the toy giant’s retail stores. Participants will receive an exclusive free “Cosmog foil card” and a Pokemon TCG Sun & Moon collector’s album. This event is timed to celebrate the release date of a new Sun & Moon card set for the Pokemon Trading Card Game. Kids can also enjoy a free Pokemon coloring activity. Lego Batman event: 1 to 3 p.m. Saturday, Feb. 11. “The Lego Batman Movie” hits theaters Friday, Feb. 10. The next day, kids ages 6 and up can score a free Lego Bat-Car at this Toys R Us event. This is a “building event,” meaning your offspring will build this Lego kit right there in the store before they take it home. The free Lego kit in question is “Emmet’s Bat-Car,” a small version of the Batmobile. It’s not clear what the retail price for this Lego kit will be when it’s on sale in stores. A similar Lego kit — Emmet’s car from the first Lego Movie — is selling for $21.45 plus $4.49 shipping on Amazon, and for $21.99 plus $7.95 shipping at Walmart.com. Also at this Feb. 11 in-store event, kiddos can participate in an Arkham Asylum Breakout Hunt. That might involve playing with the huge, $150 Arkham Asylum set from the Lego Batman Movie line of toys. Geoffrey’s Birthday Club events: These are in-store events held from 3 to 4 p.m. the first Saturday of each month. The next three are Feb. 4, March 4 and April 1. If you sign your child up for Geoffrey’s Birthday Club here, your child will receive a birthday card and coupon in the mail shortly before their next birthday, along with an invitation to the next Birthday Club event at the nearest Toys R Us location. If you present this coupon at the event, your kiddo gets a free Geoffrey plush toy and storybook. Pro tip: Because supplies are limited and Toys R Us hands out these giveaways on a first-come, first-served basis, it’s best to show up early. You definitely don’t want to breeze in late and risk disappointing little Junior if the goodies run out. A final note: As always, bring your willpower and parenting skills to these events — because you’ll be plopping your kid down in the middle of a giant toy store. 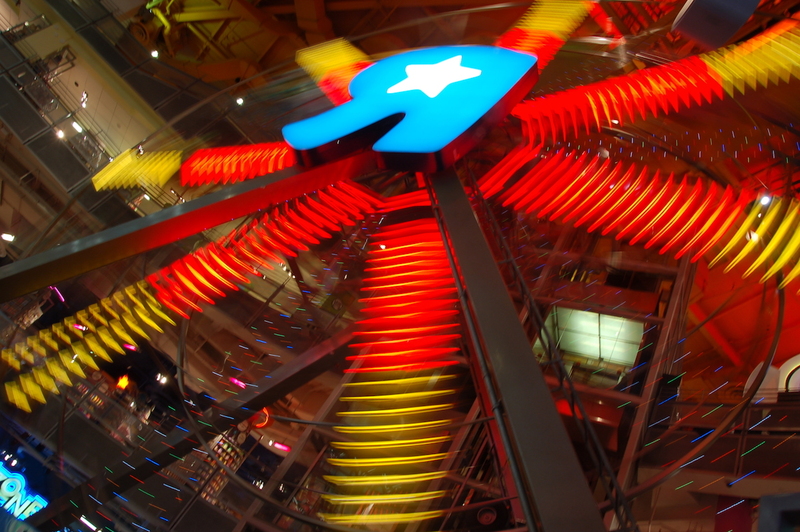 Your Turn: Have you ever attended a children’s event at Toys R Us? Mike Brassfield ([email protected]) is a senior writer at The Penny Hoarder. He has two kids and typically needs a really good reason to go to Toys R Us. Free stuff is a valid reason.